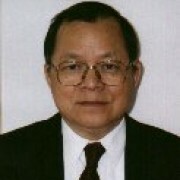 Pastor Albert Ko was born and raised in Hong Kong. He started going to church at a young age and accepted Jesus as his personal savior during high school. 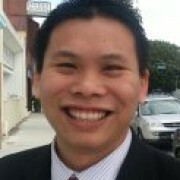 He has a Bachelor degree in Psychology at UCLA and a Master degree in Social Work at CSU Long Beach. Meanwhile, he has been attending and serving the Lord at Chinese Bible Church. For 10 years, Pastor Albert served the community by working as a family counselor. In 2012, Pastor Albert was called to serve God in full time ministry at Chinese Bible Church. In 2014, he received his M. Div. from The Master’s Seminary. He and his wife, Amy, currently has a son and a daughter. Pastor Donald Lau graduated from the Overseas Bible Seminary in Hong Kong in 1968. In 1969, he became the pastor of the United Evangelical Church of Pasay, a suburb of Manila, Philippines. In 1971, he was ordained by the same church. While Pastor Lau pastored in the Philippines, he also served at the Bible Institute of the Philippines. In 1975, Pastor Lau returned to Hong Kong and served at Overseas Seminary. In 1979, he became the President of Overseas Seminary until 1991. In 1991, Pastor Lau became the Senior Pastor of Chinese Bible Church of West Los Angeles. He retired in 2010.